What is the reason for splitting the wraps like this? I assume it is to fulfill some kabbalistic requirement, but I could be wrong. What's funny is that I wrap this way (splitting the wraps) but I don't know the reason for it. I didn't mean to post a question and then answer it myself, but in my searches on Chabad.org I found this question and answer page which discusses why there is a custom to leave space between the third and fourth wraps of the tefillin shel yad. 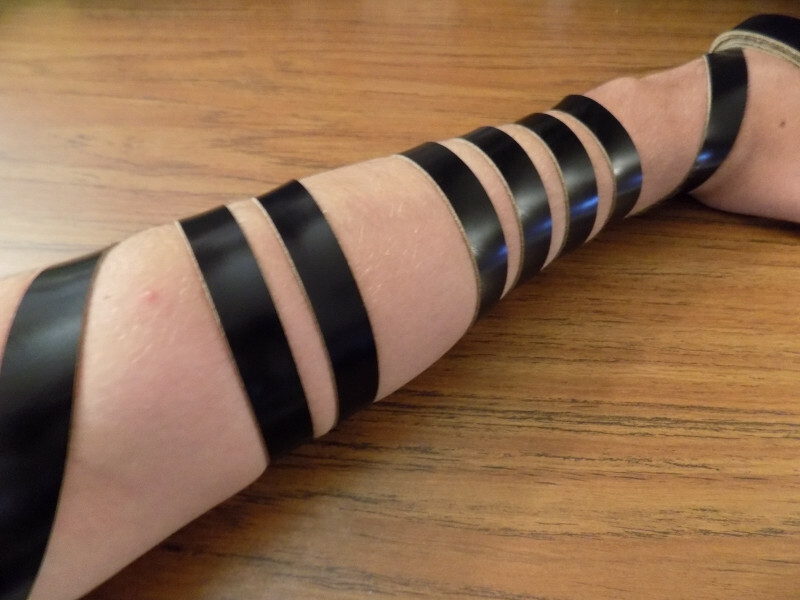 Why is it Chabad custom to leave space between the third and fourth tefillin "wrap" around the arm? The first three coils correspond to the three letters of the divine name ש-ד-י (Shaddai). The latter four coils correspond to the four letters of the divine name י-ה-ו-ה (the Tetragrammaton). Because these two groups of coils represent two different names, it is appropriate to leave a little space between them. The amount of space you should leave is not specified anywhere—just leave enough space so that the break will be noticeable. So to summarize, the first three wraps apparently represent the divine Name of Shaddai and the last four wraps represent the divine Name of Hashem, the Yud-Kay-Vav-Kay. I would still be interested in more answers, by the way. The wraps on the forearm correspond to Z"N (Ze'ir Anpin v'Nukvah). The first three are ChaGa"T (Chesed, Gevurah v'Tiferet). The remaining four correspond to NeHoY'M (Netzach, Hod, Yesod, v'Malchut). Not the answer you're looking for? Browse other questions tagged tefilin chasidut-hasidism .